If you have a job, if you want a job, thank a teacher. And those of us who work in British Columbia truly are indebted to the teachers. Not in some academic way; rather, we are indebted for the BC teachers’ / BCTF’s stand for workers’ rights, for fair bargaining rights, for the right to call into question the failures of employers and governments. If you don’t have a job, and more and more do not, thank the government and your local elected economist. The economy continues to fail and labour discontent is increasing for good reasons. 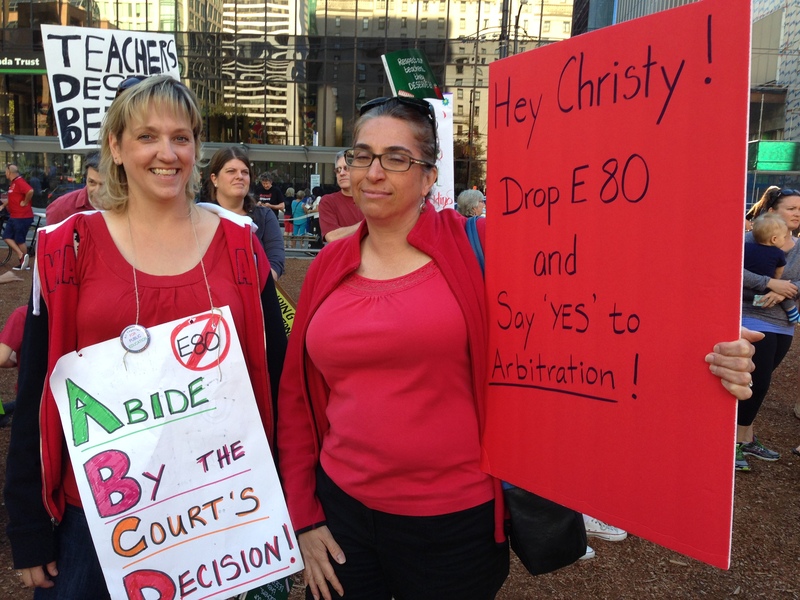 This particular teachers’ strike is over but more labour unrest is on the horizon in BC. Who’s next? 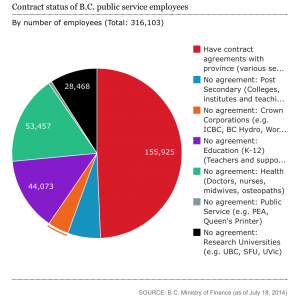 Nurses, doctors, postsecondary educators and workers at major Crown corporations including B.C. Hydro and the Insurance Corp. of B.C. are some of the public-sector workers who have not yet accepted the government’s standard offer of 5.5-per-cent wage increases over five years. The public sector contracts that are still up in the air represent half of the workers, but they include some of the most expensive contracts, accounting for two-thirds of the government’s $21-billion wage bill this year.